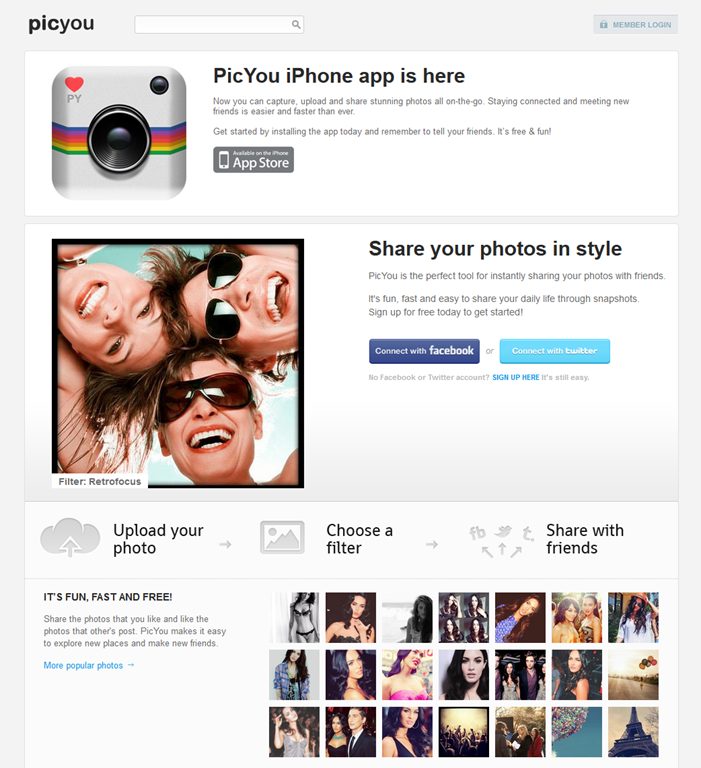 PicYou – Share Your Photos in Style | Cool Design Show | All Free Web Resources for Designer - Web Design Hot! Starting a social network that will last is hard, but I never expected my favorite social media app would be based on photography. I fall in love with a smarter social application or some other time-saving tool. After using this program for a few days, I’m impressed with its simplicity, and I haven’t stopped using it regularly. It made the first page of my iPhone list of apps now. The web is a buzz with this new photo sharing tool. PicYou, the perfect tool for instantly sharing your photos and daily life with friends, family and the world. PicYou is the perfect tool for instantly sharing your photos and daily life with friends, family and the world. 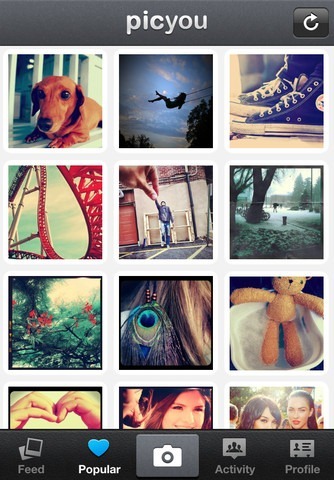 All you have to do is take a picture using your iPhone, and let PicYou do the rest. PicYou works in a way that you can take a photo style it by using different available filters and then share it on your favorite social media website. PicYou.com released a free iPhone application on Monday the 9th of Jan. PicYou ( download ) is a free photo sharing app for the iPhone ( Android is in development ). 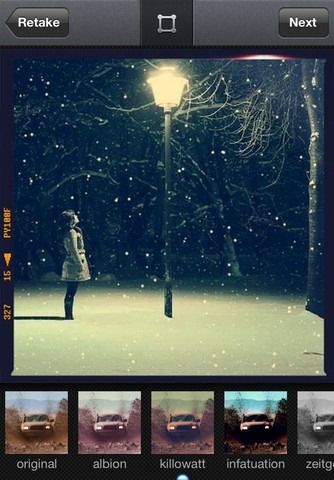 Now share your pictures in Instagram style with some of the cool photo tools such as PicYou. 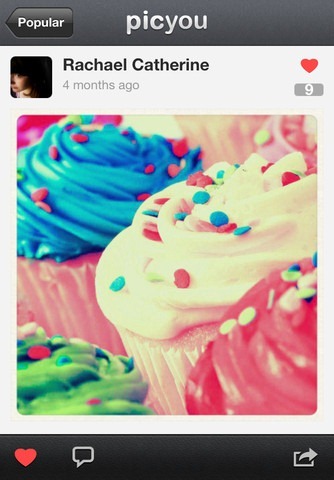 It’s a free, fun, and simple way to make and share gorgeous photos on your iPhone. Pick from one of several gorgeous filtered effects or tilt-shift blur to breathe a new life into your mobile photos. Transform everyday moments into works of art you’ll want to share with friends and family.Share your photos in a simple photo stream with friends to see – and follow your friends’ photos with the click of a single button. Every day you open up PicYou, you’ll see new photos from your closest friends, and creative people from around the world.Features 100% free custom designed filters and borders such as XPro-II, Earlybird, Rise, Amaro, Hudson, Lomo-fi, Sutro, Toaster, Brannan, Inkwell, Walden, Hefe, Nashville, 1977, and others. 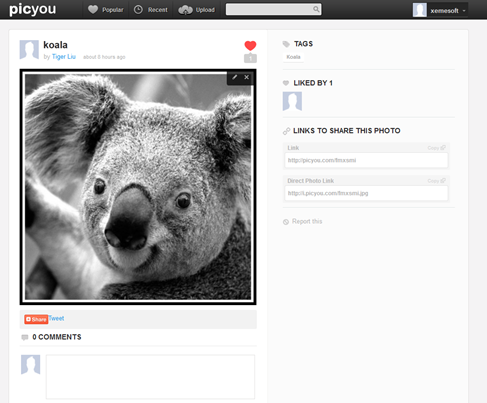 One of PicYou’s main features is the ability to post simultaneously to Facebook and Twitter. If you’re new to PicYou, you can sign up for a free account using Twitter or Facebook or simply sign up use your email address. 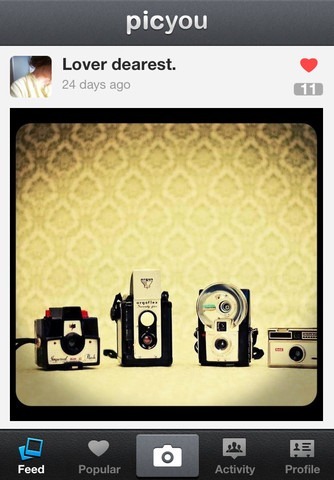 Using the new iPhone app, you can take photos on the go, and apply one of nine vintage filters. From the app you can view your feed, featuring your own images and those of the people you follow, user profiles, and you can also view PicYou’s most popular photos. You can control several settings from the app, including connecting your Facebook and Twitter accounts, and editing your profile details, can viewing activity on your images. Essentially, you can use the service solely from your phone, if you choose to. This entry was posted on Sunday, January 22nd, 2012 at 6:07 pm and is filed under Cool Design Show . You can follow any responses to this entry through the RSS 2.0 feed. You can leave a response, or trackback from your own site.